Family gatherings are some of my favorite parties, and becoming vegan hasn’t changed that. But no matter how much I adore both my chosen and my biological families, sometimes being the only vegan at a family dinner can be, well, interesting. Watching my loved ones eat animals will probably always be unpleasant, and the smell of cooking flesh doesn’t do my appetite any favors. While surviving family gatherings as the only vegan can be simple, you shouldn’t feel obligated to attend family dinners where animals will be eaten. Ultimately, you need to do what’s healthiest for you, and that could mean skipping dinner altogether. But I’m slowly figuring out how to navigate family gatherings, because I want to enjoy a good meal with my folks. I’d like to share what I’ve learned so far. I hope it helps! Walking into a non-vegan feast on an empty stomach is risky, so you might want to get in the habit of snacking before going to parties. If your family gatherings are like mine, dinner probably won’t start on time. Plus, dealing with comments like “But cows need to be milked” is harder when you’re hungry. You might be the only vegan in your family, but that doesn’t mean you shouldn’t bring enough food for everyone to enjoy. If you like to cook, whip up a family-sized portion of your favorite dish. If cooking isn’t your thing, you could bring some takeout. Vegan and vegan-friendly restaurants have become more common, and it’s easier than ever to eat vegan at many chain restaurants. No matter where you live, your local supermarket should have plenty of fruits, veggies, and vegan snacks. I haven’t been vegan for very long and I’ve already had to remind myself why I ditched dairy and eggs. It’s not that I miss eating animals or feel deprived on a vegan diet; but a lot of people like to argue against veganism, and it can be exhausting. Fortunately, remembering why you went vegan can help you cope. Personally, I usually recall the most heartbreaking scenes from the Erin Janus YouTube video Dairy Is Scary or Mercy For Animals’ most recent undercover investigation, but I’ve also found that watching videos of happy farmed animals can be bolstering. Purring chickens, cuddly turkeys, and playful pigs are my go-to images when I need happier reminders of why I stopped eating animals. The next time you feel attacked at a family dinner, remind yourself why you went vegan and feel good about sticking with a healthy diet, helping animals, and doing your part to prevent climate change. I’m not sure I would have chosen a vegan lifestyle if friends and acquaintances hadn’t told me why they’d made the switch. I’m glad they were honest with me, and I would encourage other vegans to speak up. Listening to my friends talk about veganism led me to research it on my own. I didn’t need them to tell me every reason that motivated them; I just needed them to pique my curiosity and nudge my conscience. Of course, no two families are the same, so my tactics might not work for you. 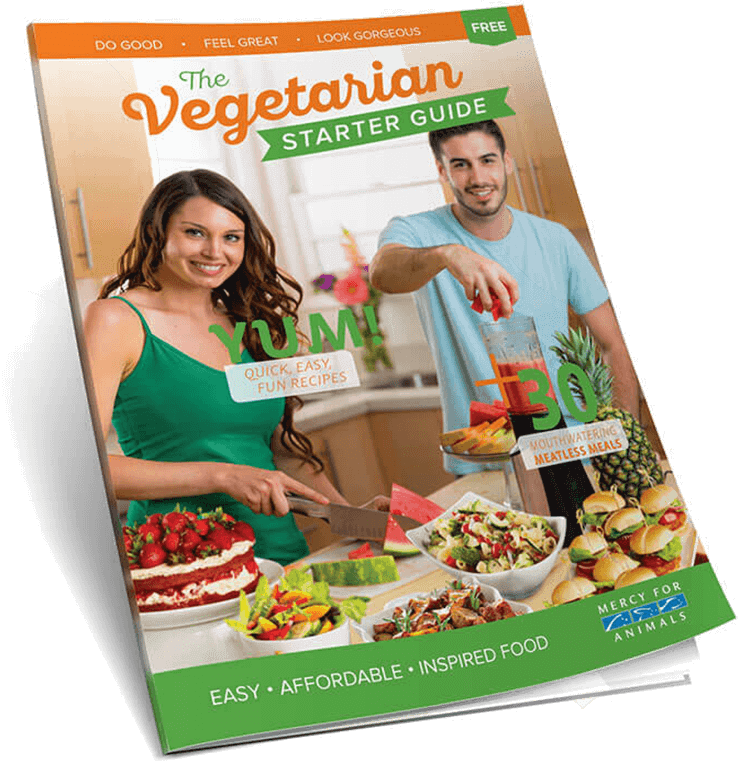 Regardless, there are plenty of resources for vegans who need help communicating with their families. Whether you’re chatting about politics or plant-based diets, it’s important to protect your boundaries, even if most of your loved ones support and respect your lifestyle. Vegans everywhere seem to have at least one uncle who loves to tell them stories about hunting and fishing (ugh! ), perhaps especially rural vegans. Check out these tips before your next family dinner. Before attending a family gathering where I know that every guest except me will eat animals, I schedule some quality self-care for after. For me, that usually means going home and watching Netflix with my companion animals. But whether it’s Netflix or fresh coffee and a walk in the park, I always reward myself for successfully navigating family gatherings. That way, no matter the vibe at dinner, and no matter the difficulty in seeing my favorite people eating animals, I have something fun and relaxing to look forward to. Remember, you’ve totally got this! And if you feel you could use some extra support, head over to ChooseVeg for tips and inspiration.